Winter watering is an important, yet overlooked, part of regular tree maintenance. Winter is definitely upon us here in the Front Range. Trees have dropped their leaves, we’ve had our first couple of snow falls, and night comes cold and early. 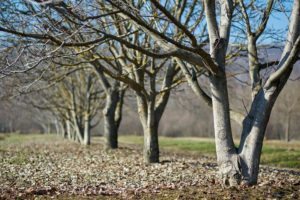 It’s important to remember, however, that just because the trees have gone dormant, they’re still alive and require water to maintain biological processes. 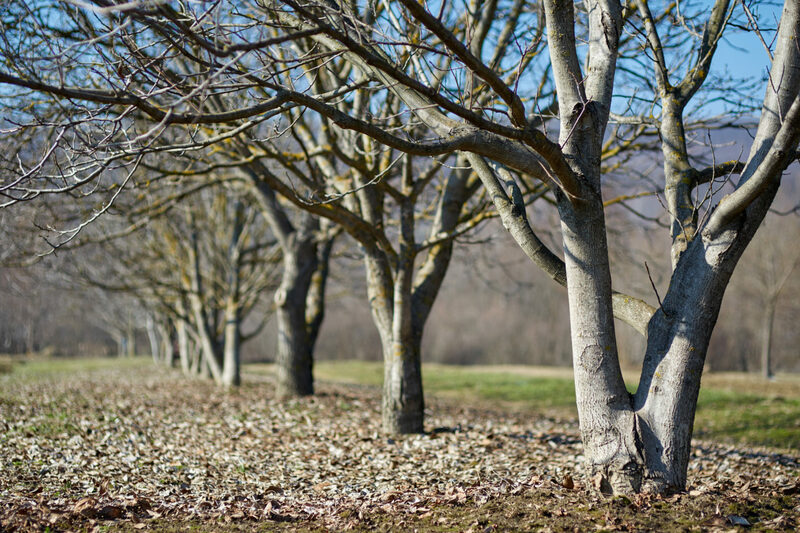 In Colorado, it’s essential to bridge the gap between snow events by providing your trees with supplemental water to prevent tissue damage or death. Regular watering during drier weather also helps trees prepare for the initial burst of growth that happens in spring. A few things to keep in mind when putting together your winter watering schedule are tree species, tree age, daytime temperature, and quantity of water to apply. Some species of tree are less drought tolerant than others, and will therefore require more attention: Maples, Lindens, Mountain Ash, Spruce, and Dogwood can all benefit greatly from regular winter watering. Young trees that are more actively establishing root systems also require more water than older trees. Finally, it’s important to water at mid-day on days with an ambient temperature greater than 40°F, which ensures the water will have enough time to soak into the soil without freezing. Be mindful that water doesn’t pool even on warmer days, as any freezing that might happen over night or during subsequent temperature dips may result in a sheet of ice that can suffocate roots and the soil biome. The general consensus when deciding how much water to apply to your trees is that 10 gallons of water per inch of diameter at breast height (a measuring tape and quick Google search can help you determine the diameter at breast height of your tree), at least twice per week, is a good amount to ensure survival through a dry period. Viable methods of water delivery include drip irrigation, a standard spray head, or a deep root watering stake, as a slow steady application will minimize pooling. If you’re a gadget-oriented person, you might also try investing in a Treegator–a porous bag that can be filled with water and placed around the base of your tree to provide a slow, steady supply of water over time. Once again, it’s important to follow the greater-than-40°F rule to ensure that the water in your Treegator doesn’t freeze. Let’s face it: interacting with water on chilly winter days isn’t the most appealing of prospects, but believe me when I say your trees will reward you with beautiful spring leaves and blossoms. And, as always, a nice mulch ring goes a long way in regulating and maintaining soil moisture and temperature, which will help you get the most out of your winter watering efforts!